This delicious chocolate zucchini cake is a nice alternative to zucchini bread. Cocoa and cinnamon give this homemade chocolate zucchini cake amazing flavor, and the zucchini and pecans add texture and moisture. The cake is made from scratch with buttermilk and vegetable oil. A light dusting of confectioners' sugar is all you need to top the cake, but feel free to add a basic vanilla cake glaze or this easy caramel glaze. Generously grease and flour a 10-inch Bundt pan. Preheat oven to 350° F (180° C/Gas Mark 4) . Sift flour with baking powder, baking soda, salt, cinnamon, and cocoa; set aside. In a large mixing bowl with hand held electric mixer at high speed, beat eggs until light in color and fluffy. Gradually beat in granulated sugar until light and fluffy; beat in oil. With mixer at low speed, beat in the sifted dry ingredients in 3 additions, alternating with the buttermilk. Drain shredded zucchini; fold into the flour mixture along with vanilla and pecans. 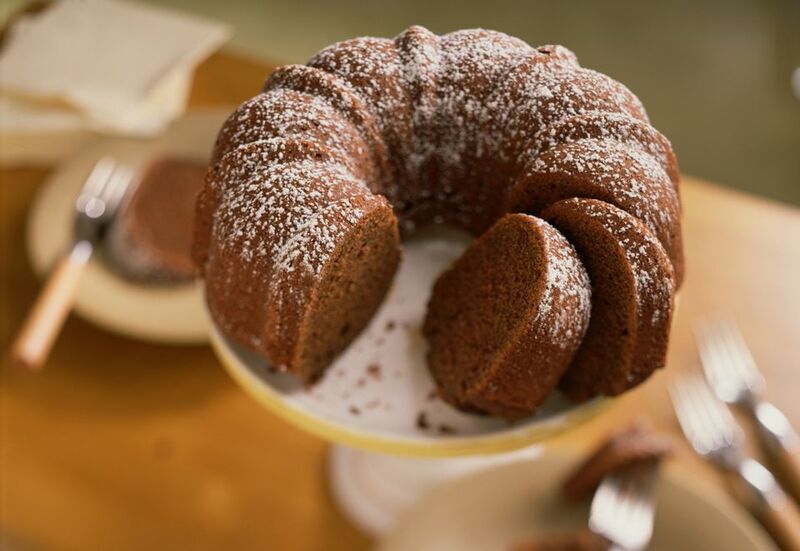 Spoon into prepared Bundt pan and bake for 55 to 60 minutes, or until a wooden pick or cake tester inserted in center comes out clean. Cool in pan on rack for 10 minutes, then remove from pan to cool completely. Sift confectioners' sugar over cake before serving.